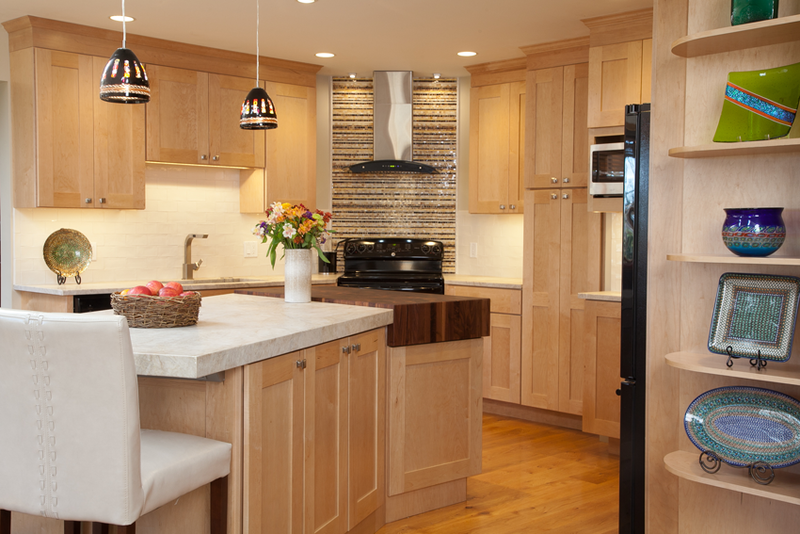 “Short on character”, lacking “good workflow”, and feeling isolated from the family room despite two entries, this new kitchen design also had to “wrap around” existing pipes and wiring in a wall that separated the two rooms. 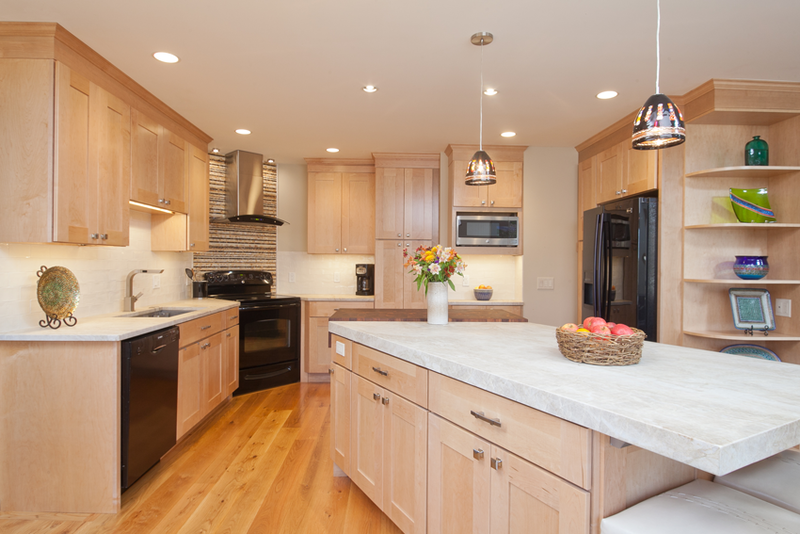 By closing one entry, widening the other, and placing the island on a diagonal, occupants of both rooms now come together. 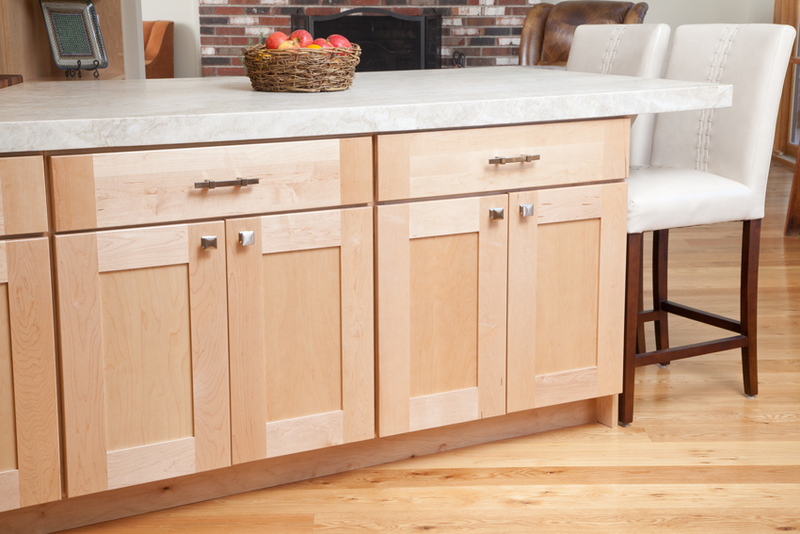 Light-colored cabinetry and countertops help the space appear larger. 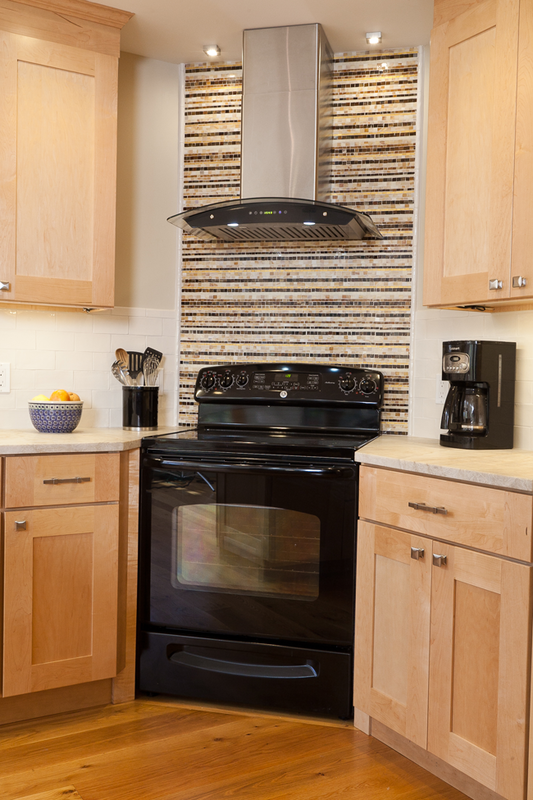 The addition of a stainless steel and black range hood, microwave, and hardware, integrate existing appliances with a contemporary space, all the while keeping it to budget.